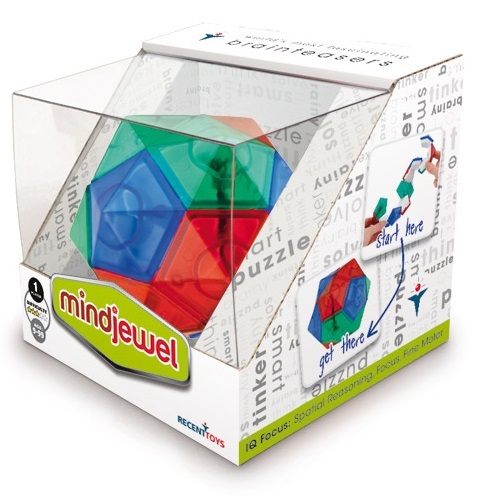 Approximate Dimensions: 3.25" x 3.25" x 3.25"
This Mind jewel Brainteaser holds a secret. It?s easy to pull it apart but challenging to rebuild. First find the loose end ?gemstone? and peel the jewel completely open. Twist and turn the gemstones on the necklace string. 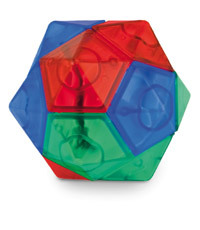 Now recreate the original jewel in its full, spherical shape. Keep building the jewel up by wrapping the gemstone string around until you have the complete jewel.